The term 'vassal' originated with the emergence of feudalism during the Medieval times - not to be confused with a 'villein' who was a peasant. The Feudal System was established in England following the Norman Conquest in 1066. All of the land in England was claimed by William the Conqueror and distributed amongst his Norman Medieval Vassal as their reward for fighting for William. The seizure of English land was ruthless, the Medieval Vassal were well rewarded, and only two Englishmen, who had turned traitor, were left with their own land. The sections of land given to the loyal Norman Medieval Vassal was called a Fief. The fiefs were occupied by the Medieval Vassal and became known as Manors. The Medieval Vassal owed allegiance to the King and his immediate superior. Medieval Vassal were expected to pay for the land by providing the services to their immediate lord. The lord of the manors are described as Medieval Vassal or Liege lords. The 'Lord of the Manor' or the Medieval Vassal were free man who held land ( a fief ) from a lord to whom he paid homage and swore fealty. A vassal could be a lord of the manor but was also directly subservient to a Noble or the King. The land owned by the Medieval Vassal varied in size but were typically between 1200 - 1800 acres. The Medieval Vassal land was called his "demesne," or domain. Medieval Vassal required this land, or fief, to support himself and his retinue. The rest of the fief was allotted to the peasants who were the Medieval Vassal tenants. A Medieval Vassal manor would typically include farming land, forests, common pasture land, a village, a mill, a church and a Manor House. The Manor House was the place of residence of the Medieval Vassal and their families and were built apart from the village where the peasants lived. The Medieval Vassal were all powerful over the peasants, holding privileges including Hunting and Judicial rights. The peasants, or villeins, who worked on the lands of the Medieval Vassal paid dues in return for the use of his land. The dues were usually in the form of labor on the vassal's land. Medieval Serfs, or villeins, were expected to work for approximately 3 days each week on the land designated to the Medieval Vassal. The feudal system was a pyramid of power, which any ambitious man could climb. Medieval Vassal who fought well for their king or lord might be rewarded with even more land. The Medieval Vassal could in turn reward their soldiers with land. The feudal system demanded that all Medieval Vassal would swear allegiance and pay homage to his lord in a commendation ceremony - the Oath of Fealty. The commendation ceremony was designed to create a lasting bond between the Medieval Vassal and their lord. 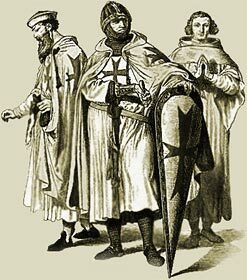 Fealty and homage were key elements of feudalism. The Medieval Vassal became the lords of their land. The role the Medieval Vassal were varied. The base of the Medieval Vassal was the manor house. From here the Medieval Vassal, or lords of the manor, would preside over complaints of the people in his manor and oversee the running of his farm lands on the manor. The role of the Medieval Vassal revolved around the Oath of Fealty sworn to his immediate superior - a great noble or even the King. Medieval Vassal would be expected to fight and to provide soldiers and arms from his manor. The Medieval Times website provides interesting facts, history and information about the life of people who lived during the Middle Ages which scatter the Medieval History books including the subject of Medieval Vassal. The Medieval Times Sitemap provides full details of all of the information and facts about the fascinating subject of the lives of the people who lived during this historical period. The content of this article on Medieval Vassal provides free educational details, facts and information for reference and research for schools, colleges and homework for history courses and history coursework.